As we all say goodbye to 2015 and welcome 2016 on this day, I can't help but reflect on the tidbits of historical fact I've gathered about how our great-great-grandparents and their contemporaries marked the holiday. Traditions during the American Victorian Era at the holiday of New Year's were most different than today. Contemporary Americans enjoy a federal holiday, time off work (for many but not all), and many holiday parties are held on New Year's Eve, not on New Year's Day (at least when it comes to starting time). Anyone who attended a New Year's Party last night probably had a celebratory drink... or several. 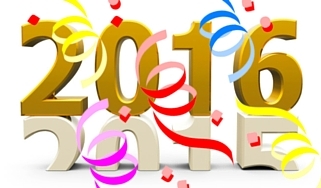 Alcohol, in 2016, is a big part of New Year's. Not so in the Victorian period. "In the late 1880's the great New Year's rite was not a big party the night before, but quieter customs on the day itself. During the '70s single gentlemen armed with fancy calling cards went on a round of visits to ladies of their acquaintance, aided by local newspapers, which printed long lists of damsels who would be "at home" to such callers. But by 1880, bachelors had so abused the custom ("This is my 47th call!" shouted one swain on the run) that it died of social disapproval. married men, however, continued to observe the day, either by taking their families to fancy restaurants or going calling en famille-- a practice that, like bachelor calling, did not always fall within the bounds of etiquette." 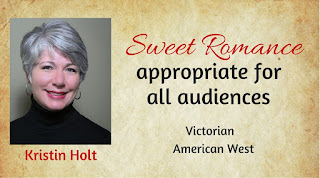 In the mid- to late-Victorian American Era, it was fashionable for the ladies and children of the families-- including young males under age ten-- to remain at home to receive callers. The men (especially eligible bachelors) were expected, at least by social niceties, to make calls on the families who had marriageable daughters. These New Year's calls were considered good luck and a favorable portent for young women hoping to make a love match in the New Year. Most calls would last from noon 'til six only so the evening could be reserved for family dinner celebrations and dinner parties. 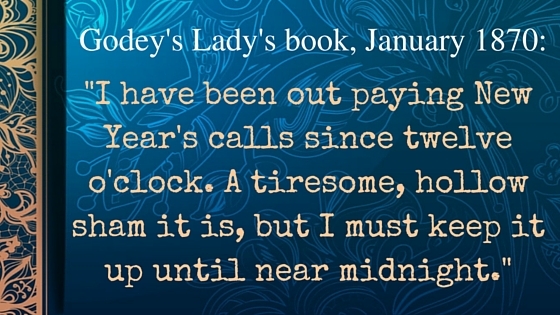 Yet, this quote originating in Godey's Lady's Book suggests calls didn't necessarily end by six in the evening. In fact, it appeared that local customs dictated when the insanity of a constant stream of well-wishers could end. 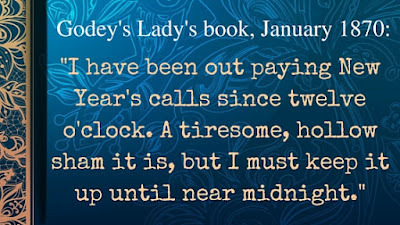 "Ladies expecting calls on New Year's should be in readiness to receive from 10 a.m. to 9 p.m. Upon calling, the gentlemen are invited to remove overcoat and hat, which invitation is accepted unless it is the design to make the call very brief. Gloves are sometimes retained upon the hand during the call, but this is optional. The call should not exceed ten or fifteen minutes, unless it is mutually agreeable to prolong the stay. The ladies should have a bright, cheerful fire and a table, conveniently located in the room, with refreshments, consisting of fruits, cakes, bread and other food, such as may be deemed desirable. No intoxicating drinks should be allowed." "Disagreeable callers are the husband and wife who come with a child and a small dog; the husband making himself familiar with the hostess, the dog barking at the cat, the child taking free run of the house, while the wife, passes around the room, handling and examining the ornaments. Some evening callers make themselves odious by continuing their visit too long, and even when they have risen to depart they lack decision to go but will stand several minutes before taking final leave, and then when wraps are on, will tell one more story while the hostess protects herself as best she can from the incoming gusts of wind and storm, sometimes thus taking a cold that ends in death. When the guest is ready to go-- go." Bachelors did not need an invitation to call on a young lady on New Year's Day. A calling card would do. Well-to-do gentlemen would commission unique and special holiday calling cards, sometimes with best wishes for New Year's emblazoned across them and occasionally with the man's portrait behind a peek-a-boo flap. This image is of a standard Victorian-Era calling card. If you've ever toured a museum-house, you'll know entry halls would often situate a silver tray on a credenza for calling cards on "At Home" days, including occasions such as New Year's. Unfortunately, not all dinner party guests were invited. 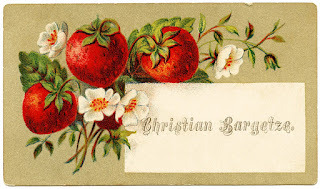 Prior to the late 1880's, it was most common for fashionable families to post in the newspaper that they would be receiving guests. A buffet would be laid out so their visitors might enjoy a bite to eat (a full meal). In the late 1880's party crashers (for lack of a better term) would see the notice in the paper and pay a call to the hostesses-- strangers, uninvited, and hungry. By 1890 this pattern of announcing one's Open House had drastically changed. No wonder so many well-to-do husbands took their wives and families out to supper. 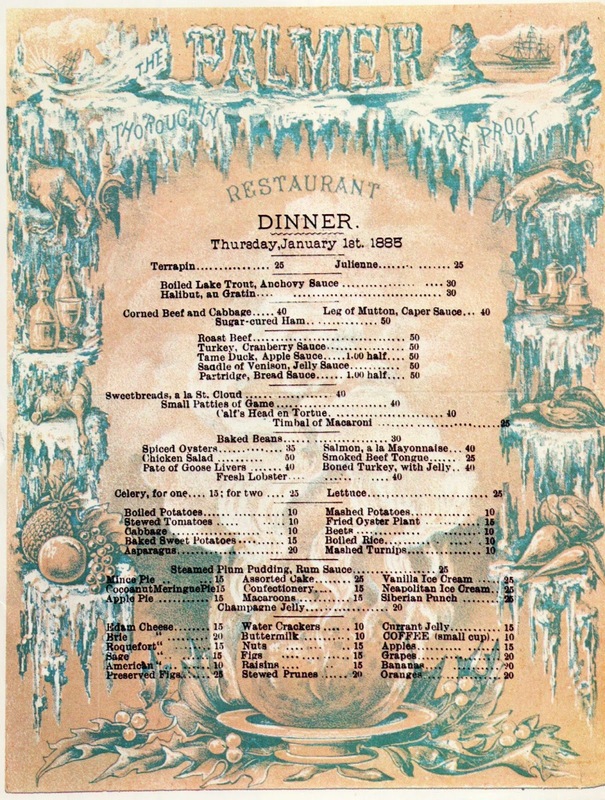 Restaurants often provided special fare specific to the holiday. Looks like a LOT of work to me. In fact, the menu offered in Pittsburg Dispatch includes instructions that run two and one-half columns. Despite my love for all things Victorian, my family will dine in 2016 style. Our traditional favorites are pizza, cheese ball and crackers, favorite holiday treats and goodies, etc. 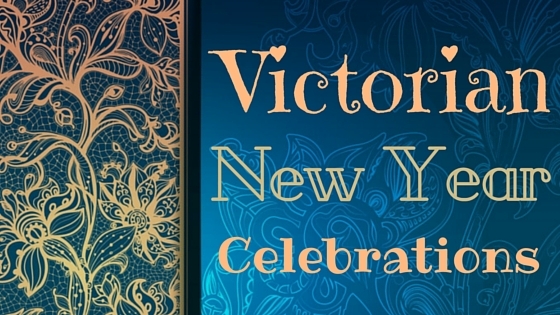 What part of a Victorian New Year's Celebration intrigues you? How have you (or will you) celebrate the New Year? 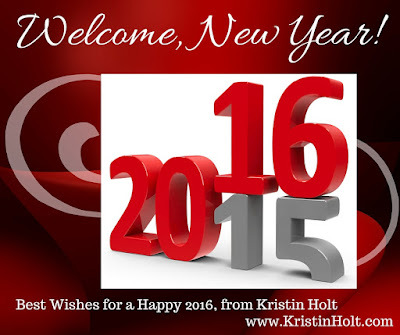 Wishing you and yours a most joyful and healthy 2016. 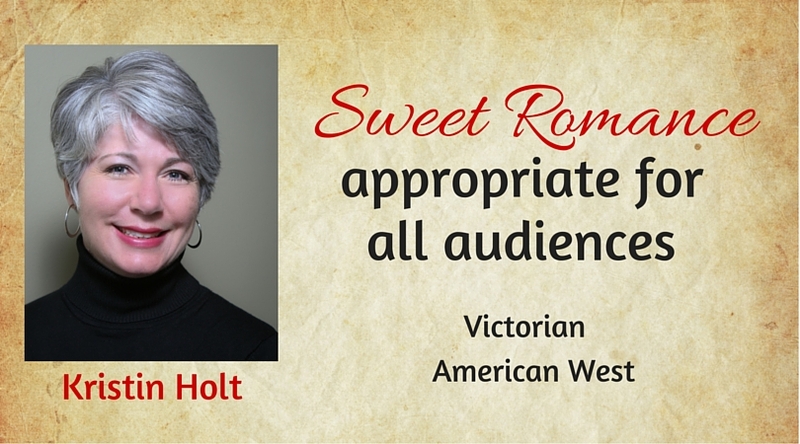 Kristin Holt is the author of ten Sweet (clean) Victorian American West Romances, including 3 soon-to-be-released titles. Coming tomorrow (1-2-16) and Monday (1-4-16) [LESSIE: BRIDE OF UTAH and JOSIE: BRIDE OF NEW MEXICO, two books within the American Mail-Order Brides Series]. Book #10 [WANTED: Midwife Bride] arrives on 2-9-16 but it's available for preorder NOW. Kristen, I really enjoyed these tidbits. Local papers from the time, especially here in "Little London" echo some, but there are those pieces that defy category. Happy New Year. May it be one of joy, blessings and love. Doris McCraw/Angela Raines-author. Thank you so much, Doris/Angela. Warm wishes for abundance and good health in 2016 to you! Thanks for stopping by, Lynn! It looks like your enjoyment of New Years Day allowed you the opportunity for time online. =) Thanks for sharing your family's celebration traditions with us. Cattle Drives ... and a New Release!